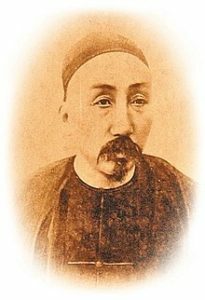 Cheung, Sui-Wai, editor. 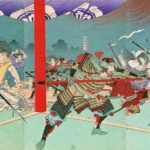 Colonial Administration and Land Reform in East Asia. Teng, Emma. Taiwan’s Imagined Geography. Morris, Andrew D. Japanese Taiwan: Colonial Rule and its Contested Legacy. A map of Taiwan for reference. I will do my best to give some geographical references when talking about specific places as well, to help you stay oriented! 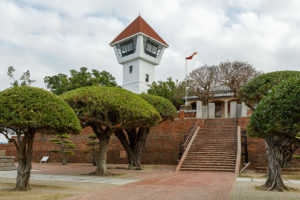 Today’s fort Anping is built on the original site of the Dutch Fort Zeelandia settlement. A sketch of Fort Zeelandia during the Dutch occupation. 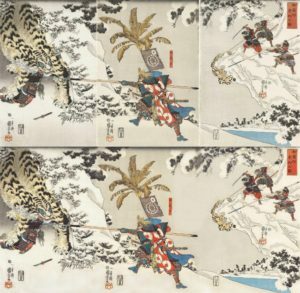 Recently restored by Sebastian Airton, this 1849 print by Kuniyoshi depicts the half-Japanese, half-Chinese warlord ruler of Taiwan Koxinga as he fights off a giant tiger. 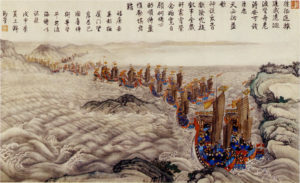 Even after subduing the island, the Qing faced rebellions in Taiwan. 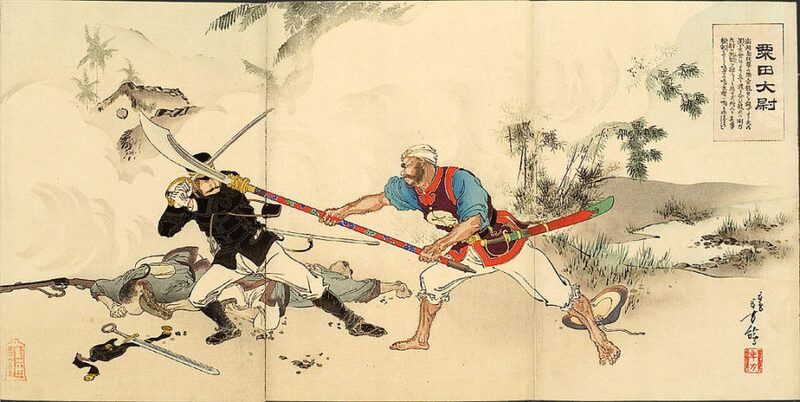 This print is of a force sent in the late 1700s to suppress one such rebellion. Liu Mingchuan, Taiwan’s first governor-general. 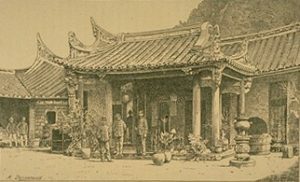 French soldiers in Keelung during the Sino-French War (1884-87). The French advance would never make it beyond Keelung itself. 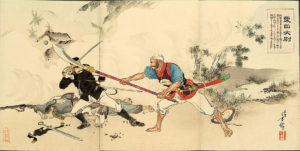 A Japanese print of a Japanese officer being ambushed by a native. 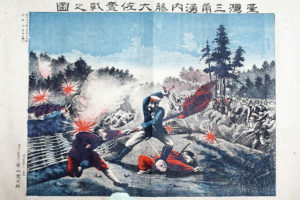 Prints like these served a propaganda purpose of depicting the Taiwanese resistance as equipped with antiquated weapons and reliant on dishonorable ambush tactics — which, to be fair, was often the case. Another propaganda print from the occupation campaign. 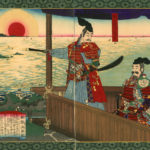 This week — what was colonial Korea like? 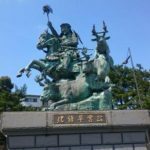 We’ll do a quick overview of 35 years of colonial economic, political, and social policy to give you a feel for what Japan’s goals in Korea were and how those goals effected the lives of ordinary Koreans. Kang, Hildi. Under the Black Umbrella: Voices from Colonial Korea, 1910-1945. Caprio, Mark. Japanese Assimilation Policies in Colonial Korea, 1910-1945. 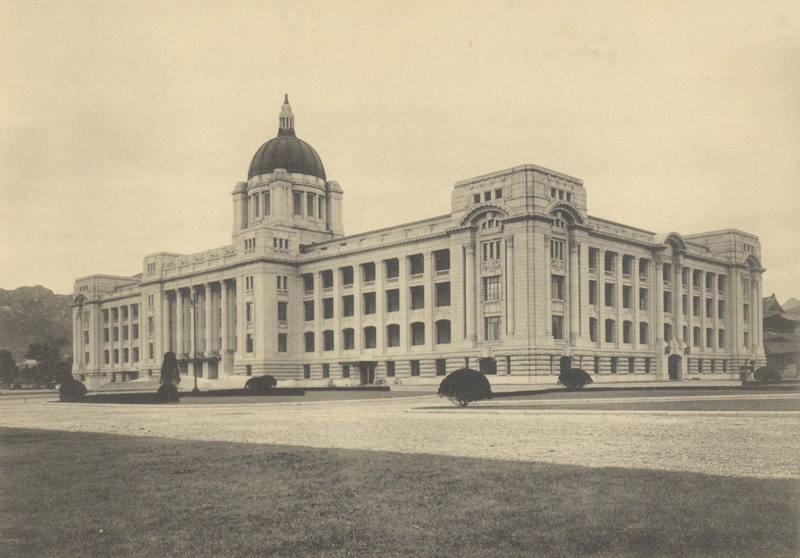 The Government-General building in Seoul. Hard to miss the symbolism of putting it in the old royal capital. 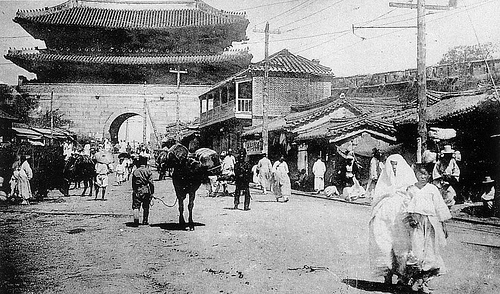 Keijo (Seoul) in the 1930s under Japanese occupation. 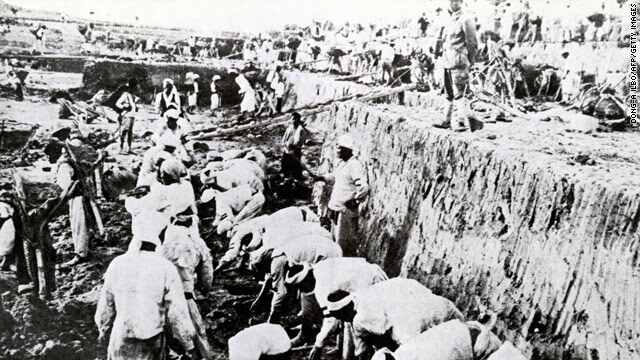 Korean workers at a Japanese operated gold mine, 1937. 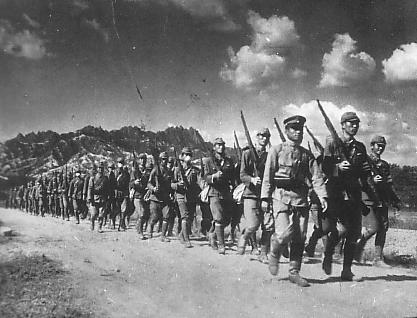 Korean “volunteer” troops in the Imperial Japanese Army, c. 1943. 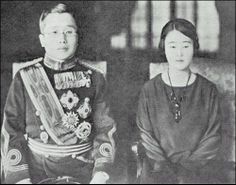 Yi Un and his Japanese wife. After WWII, Yi Un would be barred from returning to Korea until the 1960s.